Great and well-equipped apartment!!! Very helpfull host!!! The owner is very nice! We could stay a little bit longer at the apartment becaue our flight was at 8PM. Very clean and very good location. I can really recommend! All amenities for a short break. Good position on edge of tourist areas. Local shops and restaurants. Very hospitable host and easy check-in and check-out. Nice and quiet at night. The owner is a very nice lady that lives close to the appartment. The appartment is very nice, very clean, I loved that she let some food (since I arrived late... that was very nice). It has everything you need. And it was incredibly clean. there is everything we need, even new house slippers are prepared, that is very thoughtful. Very nice hostess. We rented a car, the location is quite convenient for us near shopping mall and sightseeings. Very clean and well equipped. Lots of bathroom and kitchen supplies. The landlady was kind enough to share her daughter’s birthday cake. The owner is very polite and always willing to help. Stayed here for 3 nights. Very friendly and helpful host. Some welcome treats provided. Apartment very well equipped and very clean. Great to have washing machine and ironing facilities. Lots of hot water. No toaster but a grill/oven combination. Wifi very good. Lovely little patio and very comfy sofas. Location was excellent with 10 minutes walk to coast and 25 minutes to the old town. Supermarkets within walking distance. Plenty of parking. 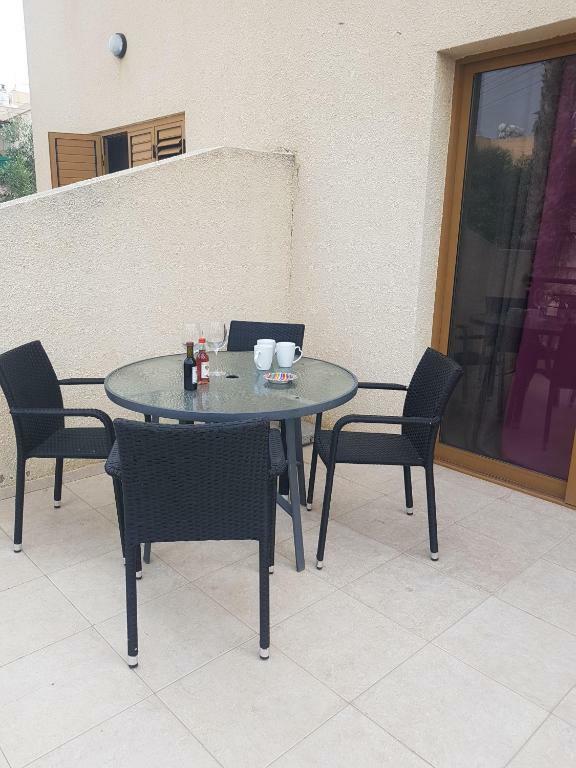 Lock in a great price for Charalambous Apartment - rated 9.5 by recent guests. 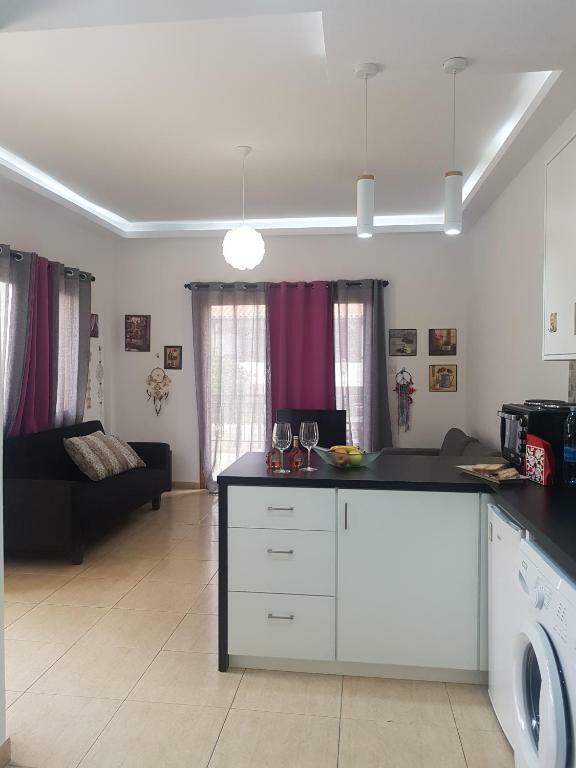 One of our top picks in Paphos City.Situated in Paphos City, 1.1 miles from 28 Octovriou Square and 1.3 miles from Markideio Theatre, Charalambous Apartment offers accommodation with free WiFi. All units come with an oven, toaster, a coffee machine, a fridge and kettle. A terrace with city views, a fully equipped kitchen and a private bathroom with bath can be found in all accommodation. Popular points of interest near the apartment include Agia Solomoni Church, Ayia Kyriaki Chrysopolitissa Church and St. Paul's Pillar. 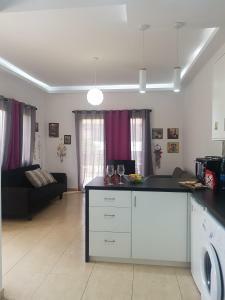 This property is also rated for the best value in Paphos City! Guests are getting more for their money when compared to other properties in this city. 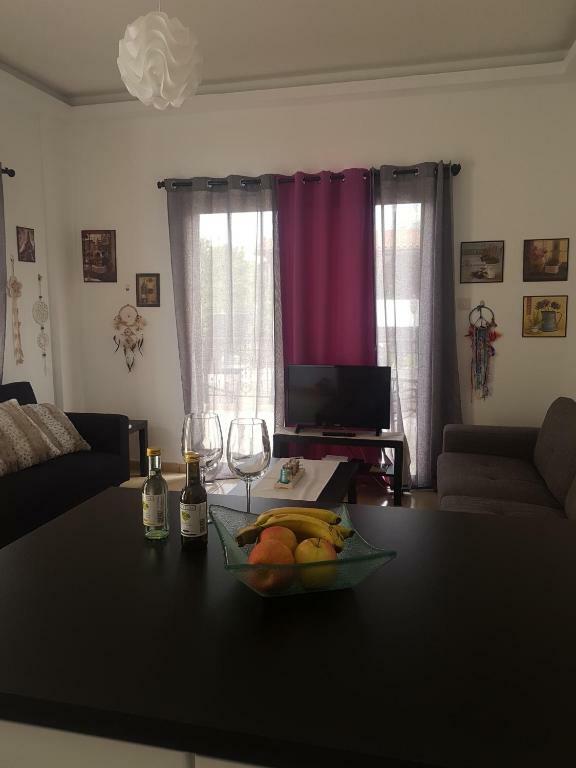 Charalambous Apartment has been welcoming Booking.com guests since 2 Jun 2017. 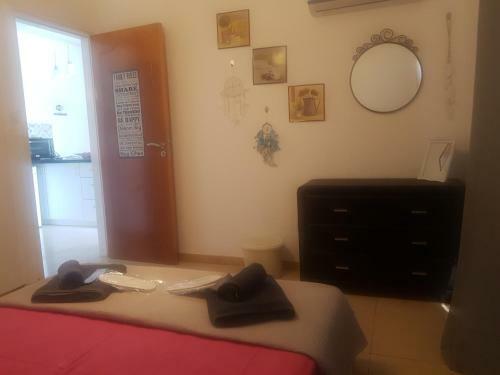 When would you like to stay at Charalambous Apartment? This apartment is new, redecorated in May 2017. Is very near to the beaches, to a lot of restaurants and to the Kings Avenue Mall of Paphos. From the castle and the unciant monuments is only 10 minites by foot. In the apartment we offer free coffee (3 kinds of coffee), tea , fruits, water, shiampou, shower for all the customers and little welcome breakfast for their first day. We also change the towers every three days. For accomotations more than a week we clean the room and change towers and sheets every 4 days. I am an ex bank employ that i retired early and now i am an owner of tourist aparments and i love it. 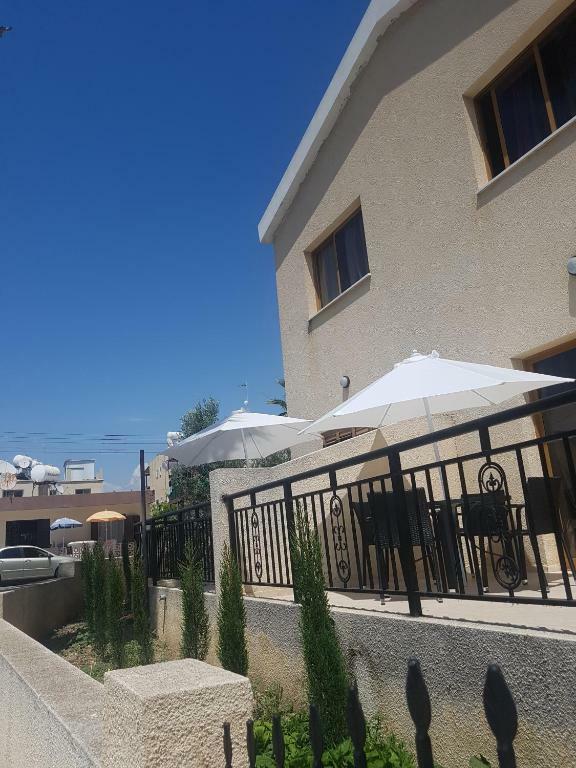 Is a quiet neighbourhood and is near to a lot of reastaurants, supermarkets , bakery and only 5 minutes by foot to the Kings Avenue Mall of Paphos. Property surroundings – This neighbourhood is a great choice for travellers interested in ancient landmarks, history and restaurants – Check location Excellent location - show map Guests loved walking around the neighbourhood! House rules Charalambous Apartment takes special requests - add in the next step! Charalambous Apartment accepts these cards and reserves the right to temporarily hold an amount prior to arrival. The mattress in the bedroom, everything else was perfect. I especially liked the positive energy of the place. We were taken a great care by the host, she kindly proposed to help us printing out our boarding cards and even arranged a taxi for our early deparure flight. Communication was excellent before and after arrival. Everything was nice. I would surely come again. there is nothing to complain for this price and complete equipments in the apartment. The water pressure at the shower was weak. We had everything in this beautiful apartement. 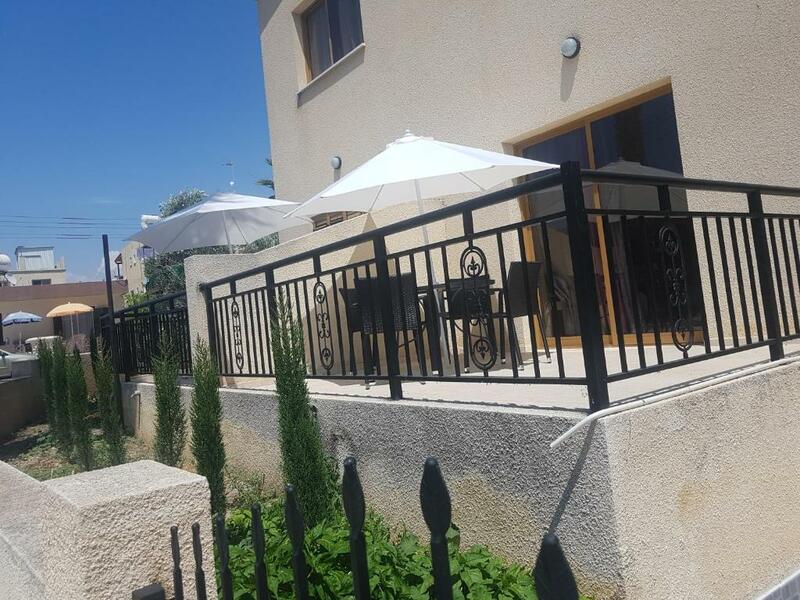 Well equiped, very clean and in a very good location, close to kato paphos harbour ( 10 min of walk) and paphos old town ( 15 min of walk). Soteria, the host, was extremely kind and welcoming. 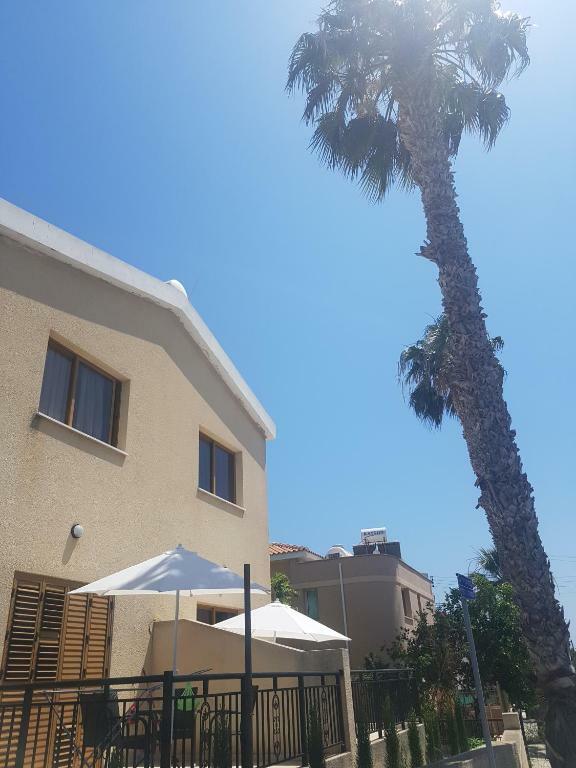 If returning to paphos, this place will be our nr 1 choice of stay. The only thing I can find is that the Entrance is too dark to find the keyhole. Maybe a little bit far from the city center, where most of the restaurants and bars are, but the walk is actually very pleasant. I guess no more than 15-20 minutes, so not that bad. The host is super friendly and helpful. The apartment has everything you need, like literally everything you need. Nicely decorated, makes you feel like home. Also, there is a cute terrace where you can have your breakfast in the morning or drink a glass of wine in the evening.